On one side sits Mississauga, holding high a desire to divorce itself from Peel Region. 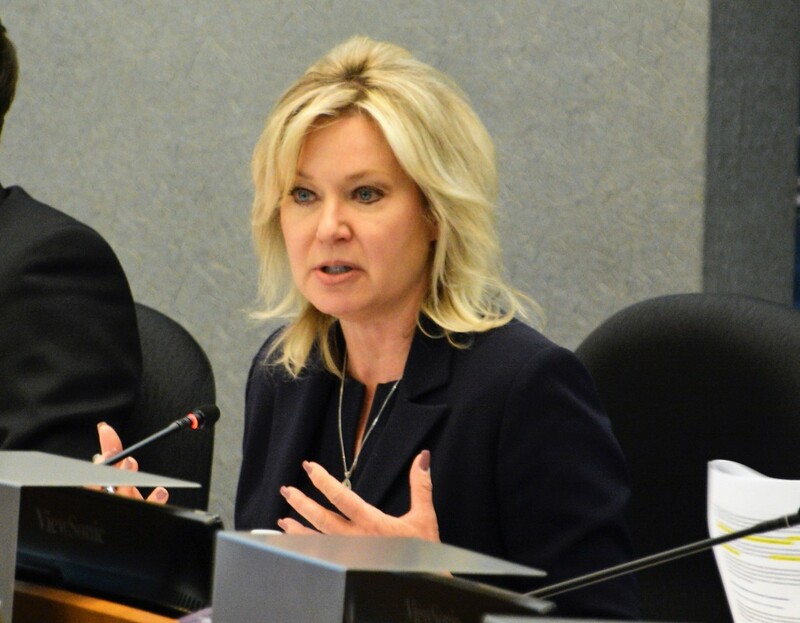 On the other, Brampton, Caledon, and the regional chair, are now armed with new information that contradicts Mississauga’s claims that a split would be a cost-effective decision. 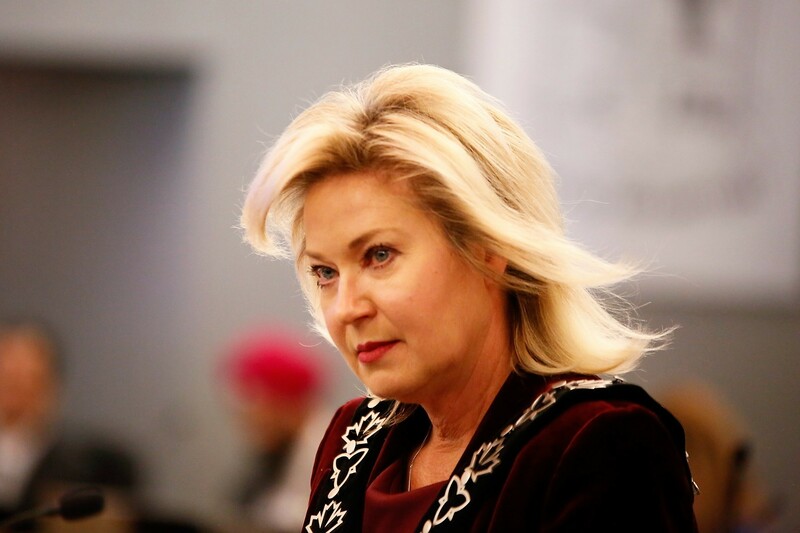 To gather supporters on their side of the debate, Mississauga Mayor Bonnie Crombie has been touting the results of a City of Mississauga staff report, highlighting that Mississauga taxpayers are shelling out a disproportionate amount of their tax dollars to subsidize Brampton and Caledon. She has repeatedly said, according to her staff’s calculations, that Mississauga stands to save at least $85 million a year (the amount, according to the staff report, that Mississauga sends to the region, above what it should be contributing) by separating from Peel. Now, a third-party report commissioned and made public by Peel Region Council disputes those figures, suggesting that the best path forward for the region is to stand together and look within regional government, where millions of dollars in savings are waiting to be found. Both documents, each with differing conclusions, are lengthy and filled with municipal financing jargon that paints a blurry picture of what any separation or amalgamation of Peel Region would look like. What’s clear though, is that any change would not be easy, and things would get messy. The latest numbers come from a consultant’s report by Deloitte, commissioned by the Region of Peel. It should be noted that any report pushed forward by the region could possibly aim to favour the status quo, as the chair-CEO and the region’s chief administrative officer have made clear, they do not want to change the current structure of the two-tier government in Peel. One could call that self preservation. Described as a research exercise to assist the region in its discussions with the province surrounding the review of regional government currently taking place, Deloitte analyzed a trio of scenarios as potential outcomes at the conclusion of Premier Doug Ford’s advisory panel report, expected in June, including a break-up of the region, an amalgamation of all three Peel municipalities and a more status quo option that involves seeking efficiencies within the region to save money. “The province has announced that its review will be conducted to assess whether governments are currently operating as efficiently and effectively as possible. As such, the financial implications determined under this report will serve to assist the region in preparing for its discussions with the province,” the Deloitte report reads. When it comes to efficiency, the report appears to point to the status quo option as the best path forward. The Pointer requested comment from Brampton Mayor Patrick Brown, but he did not respond. According to Deloitte, amalgamation of the region’s municipalities would require an additional $676 million in tax levies over the next 10 years. However, dissolving the region would require even more in additional tax dollars each year for the next decade. But there are clear problems with the Deloitte report. For example, it assumes the “crime rate” is a driver of policing costs, suggesting those costs will go up. There are two problems with this type of simplistic assumption by the firm, which has faced questions in the past about delivering analysis that supports what clients want to hear: Crime rates, which can go up and down from year-to-year, are widely considered by criminology experts as a poor way to set police budgets; and what if crime rates in Peel go down, as they have been in general over the past two decades, with a recent increase in violent crime over the past two to three years. “You’re not doing the proverbial apples to apples,” explains Robert Williams, a professor at the University of Waterloo and an expert in municipal governance, adding it can be hard for those outside the field of municipal auditing to comprehend the way the data was analyzed to reach a conclusion. He says using reports by different consultants can be problematic if they’re not using the same types of criteria and measurements. The Deloitte report suggests different outcomes than the updated information being used by Mississauga. “Dissolution (separation) is more costly than amalgamation initially due to initial investments required to duplicate regional services locally,” the report reads. The only option that would see the region come out ahead, according to the Deloitte report, is keeping things as is, and looking within the region for cost-cutting measures. Deloitte suggests there exists approximately $261 million in annual savings should the region consider certain changes, many of them involving massive upheavals in service delivery, like amalgamation of fire services, roads operations and parks and recreation maintenance at the region. Once again, the Deloitte report makes sweeping assumptions without any details to drill down into the realities of what it suggests. Amalgamating two huge departments such as Mississauga’s and Brampton’s stand-alone fire departments sounds good, but collective bargaining contracts with unions would have to be considered, not to mention consideration of provincial regulations and various pieces of legislation that govern fire safety and required coverage. In particular, the report highlights significant issues with any attempt to break-up the region. While Mississauga would benefit the most from Peel’s dissolution, seeing an increase in their operating revenue by approximately 6.7 percent, and on overall increase in revenue of 10 percent, according to the report, Caledon would see their revenues cut by 25 percent, and Brampton’s debt to operating revenue would skyrocket by nearly 28 percent. On top of that, the Deloitte report suggests that picking apart the stitching of the region would get rather messy when it comes down to separating assets, with many past instances of municipal break-ups resulting in lengthy, and costly, arbitration over who owns each specific piece of infrastructure that was paid for collectively. The scenario is similar to a couple trying to hammer out the details of a divorce settlement. “Our research also indicates that if dissolution does occur, significant effort will be required amongst the local municipalities to negotiate how assets and services should be divided,” the report reads. Amalgamating into something like the “City of Peel” is also depicted as an unattractive option. Approximately $151 million more would be needed in frontline staff for the city’s corporate services department to ensure the entirety of the new municipality is receiving the same level of service, offsetting any cost savings from the reduction in management positions. Over the next decade costs for transit would require $29.4 million more, Parks and Rec, approximately $200 million more, and a roads department approximately $95 million more. A bright spot would be found in the new amalgamated city’s fire department, which could save $15 million over 10 years, mostly due to reduced management positions, but again, it’s not clear in the report how Deloitte has reconciled many of its assumptions. Following amalgamation, Deloitte estimates that Mississauga residents would see tax increases around 2.07 percent, while Brampton and Caledon would see small reductions. Commercial ratepayers would be hit harder, with rates in Brampton and Mississauga increasing by more than five percent. Keeping things as is has been the stance of Peel’s top bureaucrat since taking the top seat. 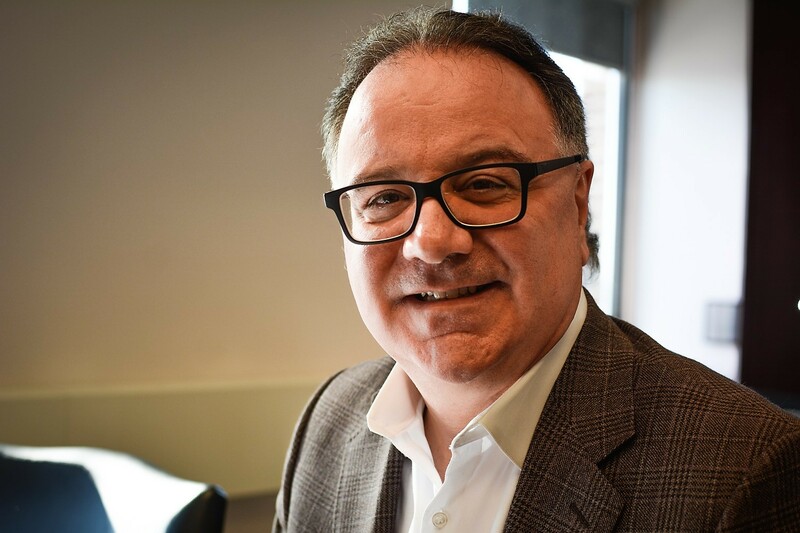 Regional Chair and CEO Nando Iannicca has told The Pointer that while he supports the province’s review, he says Peel is the model of what works when it comes to municipal governance. It was a stance that Iannicca and Peel CAO David Szwarc shared with the provincial government’s advisors for the regional system review in a meeting on Feb. 8. If the status quo is the preferred option of Peel Region staff, the Deloitte report highlights several areas for cost savings, but goes into very little detail about the dollar value of the potential options. The potential for amalgamating fire, parks and rec departments, and road work procurement at the region are all suggested as potential cost saving measures, though little detail is provided and no costs were determined, mostly due to the lack of publicly available information, the Deloitte report states. The findings of the Deloitte report contradict the findings of City of Mississauga staff who heralded the benefits of a Mississauga separation from Peel in a report to councillors last month. Through “cross-subsidization” Mississauga taxpayers have been paying approximately $85 million annually for programs in Brampton and Caledon, an increase from the estimated $32 million figure stated in 2003. The 2003 figure was calculated for Mississauga by accountants Day & Day. Mississauga staff updated the 2003 number themselves, finding the increase to be mostly driven by inflation, service adjustments, and assessment and population impacts. This narrative that Mississauga has been disproportionately supporting the Region of Peel has been pressed by Crombie for years. Since her first election to the mayor’s office in 2014 she has made her stance clear that it’s time for her city to stand on its own two feet, the same position held for decades by her predecessor Hazel McCallion. Cutting the chain from around her city would allow it to “control its own destiny” as Ontario’s third largest city, the sixth biggest in the country. “I have been clear for a while that it’s time to re-evaluate Mississauga’s relationship with the Region of Peel and whether or not it makes financial sense for our City,” said a statement from Crombie released after the announcement of the review in January. Deloitte claims the cost allocations in the Mississauga report, based on population, is “flawed” and not a proper property tax distribution methodology in Ontario. The report also takes an “overly simplistic approach” for calculating the $85 million in tax payers’ dollars being overpaid to the region, according to Deloitte, which also uses vague, sweeping language without much hard financial evaluation and analysis grounded in accepted municipal accounting standards. “Aging capital infrastructure, new regulations, future growth, and other financial factors would affect this number (and) are not considered,” Deloitte’s analysis reads. The consulting firm says the same goes for the original 2003 Day & Day report that Mississauga staff leaned on for its foundation. Deloitte says this report also does not “present the complete picture” and uses information and ratings that are not substantiated or supported, such as ignoring how development charge revenues would change should Mississauga pull out of the region. “The report excludes the fact that the local municipalities ability to collect development charges on roads, which are currently being managed at the regional level, would be reduced. This would ultimately shift the burden of the costs to the taxpayers through property taxes,” the Deloitte analysis reads. With that said, development charges have proven to be a contentious issue in the discussions surrounding Mississauga’s desired exit. Adding to the confusion, is the Ford government’s recent move to possibly eliminate some development charges for builders, which the Region of Peel has said would shift costs onto regional utilities paid by property owners. Brampton has argued that it has had to pay into the region for decades, assisting in Mississauga’s growth, and would lose out on help from a more mature Mississauga now that Brampton is in its own period of rapid development and population growth. The city is expected to grow from about 600,000 residents currently to more than 900,000 by 2041. This has been described as a “fundamental concern,” by Chair Iannicca. Yet, Crombie argues that Mississauga’s contribution to the region is “not fair” compared with what the city is getting in return. Mississauga’s push for municipal independence is proving to be a rare stance since Ford announced the regional government review in January. The PC’s intention, beyond trying to find efficiencies, is not clear. Are the advisors expected to find a single solution for all the regional municipalities included in the review? Halton, York, Durham, Waterloo, Niagara, Peel, Muskoka District and Oxford County are all part of the process, being undertaken by Ken Seiling and Michael Fenn. Simcoe County and its lower-tier municipalities will also be included in the review of the value of two-tier governments in Ontario. Other GTA municipalities are currently pushing back against any move by the province to force change at the local level. Last month, both the Burlington and Oakville councils passed motions urging the province to leave Halton Region as is. According to the motion from the Town of Oakville, 97 percent of residents are satisfied with the quality of regional services, and 81 percent were content with the town government. In Peel Region, residents are left to try and sort through the overwhelming, and often confusing, claims from politicians on both sides of the argument about what would be the best outcome. Often, the studies used by one side or the other as ammo for one argument or another, are using different metrics and methodologies, all of them reaching different conclusions for the same question. For professor Williams, when it comes down to trying to determine any type of outcome or impacts from a change to Peel’s governance structure, nothing is certain. “There is no easy way to do this, partly because it’s never happened before,” he says, referring to one municipality’s desire to separate from a region. “We’ve got no way of knowing what would be a reasonable measure to support a move of any kind, either to stay or to go.